Cyprus have been installed as 11/10 favourites while Israel are second favourites at 3/1. Coral and Ladbrokes are offering new customers the opportunity to back entrants Eleni Foureira (Cyprus) or Netta (Israle) at boosted odds of 33/1. Plus, you will get a £5 free bet if your bet is a loser! If Israel do not win the Eurovision Song Contest, Coral Sportsbook will credit your account with a £5 free bet. PLEASE NOTE: 18+. UK+IRE New Customers Only. Winning bets paid in cash based on the normal price on the website. Enhanced odds paid in free bets. Free bets valid for 4 days. Free bet stake not returned. Certain payment methods and cashout excluded. Losing £5 free bet excludes Coral Connect. T&Cs apply. 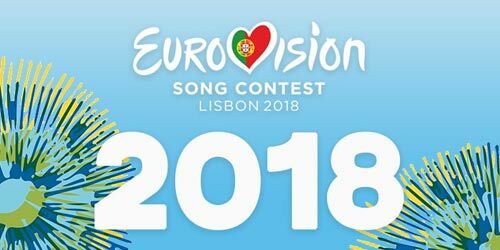 If Israel do not win the ESC 2018, Ladbrokes will credit your account with a £5 free bet. PLEASE NOTE: 18+. UK+IRE New Customers Only. Available for a limited time. Min deposit £5. Certain payment methods and cashout excluded. Winning bets paid in cash based on normal price on our website. Enhanced odds paid in £5 bets. Free Bets valid for 4 days. Free bet stake not returned. T&Cs apply. "Eurovision 2018 Odds: get 33/1 Cyprus or 33/1 Israel to win!"